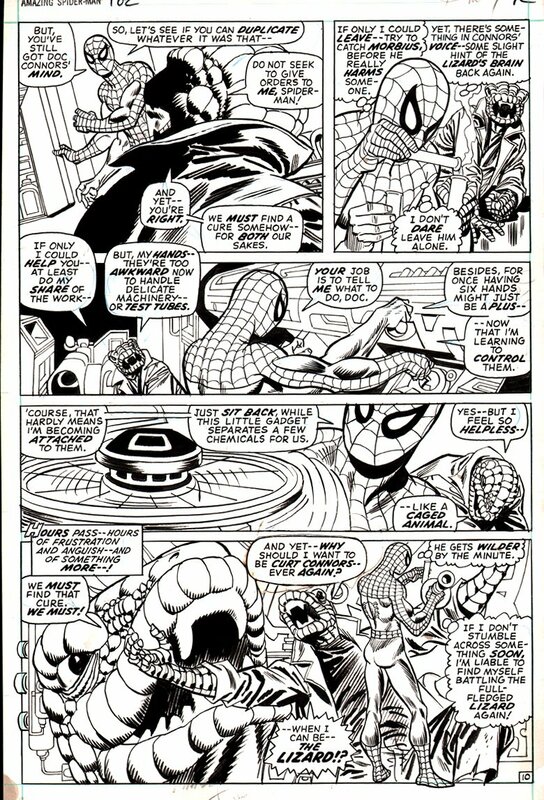 Gil Kane pencils with Frank Giacoia inks, from the EVER CLASSIC 1971 AMAZING SPIDERMAN story titled: "Vampire at Large!" This GREAT story features Spider-Man versus Morbius versus the Lizard.... and we learn the origin of Morbius. Plus, Doc Connors prepares a serum that cures Spidey of his six-arm problem at the end!